Work Out Without Paying Out! Summer is coming! For many of us that means getting started on burning off those pesky winter kilos. Before you rush out and spend up big on a gym membership it pays to consider the many free or inexpensive ways to get fit. http://www.indigofinance.com.au/wp-content/uploads/2017/03/default-v2.jpg 198 300 wsadmin http://www.indigofinance.com.au/wp-content/uploads/2017/01/indigo-finance-logo.png wsadmin2015-11-24 02:17:372017-03-09 02:35:27Work Out Without Paying Out! Investing in property is something that most of us think about doing, want to do or hope to do. However only around 20% of Australians ever actually do it. Whatever the reason why, there is more than one way to get started on the investment property ladder. http://www.indigofinance.com.au/wp-content/uploads/2017/03/default-v2.jpg 198 300 wsadmin http://www.indigofinance.com.au/wp-content/uploads/2017/01/indigo-finance-logo.png wsadmin2015-11-11 02:17:152017-03-09 02:35:53Save, Equity or Super? Has The Investment Property Market Become Too Confusing? 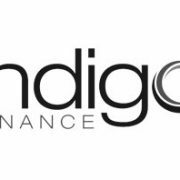 http://www.indigofinance.com.au/wp-content/uploads/2017/03/default-v2.jpg 198 300 wsadmin http://www.indigofinance.com.au/wp-content/uploads/2017/01/indigo-finance-logo.png wsadmin2015-11-08 02:18:022017-03-09 02:35:49Has The Investment Property Market Become Too Confusing?